Heightened Shelf Appeal. Direct Printing to Plastic Bottles. Brand owners, cosmetic industries, and converters print directly to plastic bottles to reduce inventory, waste, and cost. In this market, bespoke or turnkey systems are available with the latter typically better for manufacturing. These solutions offer speeds up to 250 containers per minute and even 36,000 cylindrical bottles per hour. Besides speed, other advancements are made to direct to plastic printers such as better ink adhesion and surface treatments—allowing more manufacturers to consider direct to object printing technologies in place of label printing. Above: The Velox IDS 250 is applicable for plastic tubes, aluminum tubes, aerosols, cans, and plastic and glass jars. It delivers speeds of 250 containers per minute or 15,000 per hour for large tubes/aerosols. Demands for large volume direct printing to plastic bottles/tubes primarily comes from brand owners, converters, and beverage industries seeking improved design and decoration as well as reduced inventory costs. Compared to shrink sleeves and wrap around labels, direct printing is typically perceived as a more elegant decoration since it is an integral part of the product itself. Until now—in the context of plastic tubes—there was a technology barrier for direct to tube printing, reveals Ofer Nir, VP, marketing and business development, Velox Ltd.
“Direct printing significantly simplifies the entire supply chain and reduces inventories,” he explains. This eliminates third party label printing as well as shipping and logistics for synchronizing bottle/tube production or label production and filling. Additionally, there is an ongoing trend of wide scale micro-segmentation, which Nir says translates to the need for mass customization—ideal for digital printing technologies. As a result, he predicts more conversion of long runs into multiple shorter runs, yet on a mass scale. Industry-wise, demand for direct to plastic printing comes from personal and homecare sectors as well as beverage industries. Zsolt Rozsnyai, product manager, digital direct printing, Krones, suggests these industries recognize major advantages to this technology in production, marketing, and environmental matters. Industries seeking direct printing solutions typically focuse on significantly reducing time to market. “Marketing aspects are very important in digital packaging, personalization, and variable print data—regionalization augmented reality are the classic advantages of digital printing,” says Rozsnyai. Bespoke and turnkey systems are both used for direct printing to plastic bottles/tubes in large volumes. Deciding which solution is better suited for the job comes down to the device’s specific geometry. Whether a bespoke or turnkey device, if the machine is specifically designed for plastic bottle printing, the printhead distance or required drop distance to meet the bottle is minimized and optimized—creating the best graphic quality and resolution possible. “With digital printing, the key is to get the printhead as close as possible for a very good image quality,” explains Lambert. This is even more applicable when printing to the same bottle in large volumes. For a technology or solution to gain significant adoption—especially in the packaging industry—it should deliver performance in multiple domains. In packaging decoration, Nir says speed, quality, total cost of ownership, and compliance are integral. “The only feasible way to deliver this level of performance is through a turnkey solution. It is the same solution for any direct to plastic bottle decoration, but the solution itself needs to be designed specifically for this objective,” he admits. The average speed for direct plastic bottle printing today is roughly 100 to 120 articles per minute, typically without any duplication or redundancy. Analog varies as well depending on the exact process but Lambert says it’s typically faster because the process is contact printing and not non-contact or drop on demand. With other solutions such as DecoType direct print technology, device and speed is not compared to conventional labeling solutions. “The goal is not to replace the one-on-one labeling systems with digital printing, but to increase the customer’s production possibilities,” points out Rozsnyai. These devices produce a maximum of 36,000 cylindrical bottles per hour or 24,000 shape containers per hour. Besides physical printing, other advancements to direct printing technologies for plastic bottles include ink adhesion, surface treatments, and color management software. The largest advances in ink and surface treatments promote good adhesion, appropriate abrasion resistance, and good visual image quality. 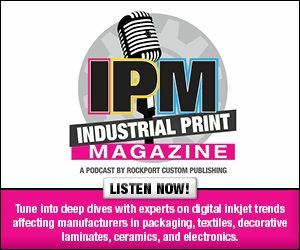 In fact, Lambert says most ink companies are perfecting their recipe—how the article is handled before, during, and after printing—for a variety of plastics, including HDPE, LDPE, PE, PET, PETG, PP, and PVC. Other factors that directly influence the printing process encompass what type of surface treatment—if any—is applied, required over varnishes, and if the bottle can be handled the same when a label applied. “It is all about delivering a turnkey solution. This means not only the printing/decoration system and the digital inks but also about color and print management, workflow work scope, compliance, supply-chain testing, and verification,” adds Nir. Compared to label printing, direct printing to plastic bottles provides manufacturers with more marketing space and offers savings potential compared to a classic label. Several challenges need to be overcome for more manufacturers to use direct to object printers for plastic bottles. Currently, one of the largest concerns for direct to plastic printing is ensuring that digital inks do not migrate into the bottle’s contents—contaminating liquids and creating hazardous repercussions for the manufacturer. According to Lambert, direct to plastic printing must be tested for every application to ensure that the ink is cured and does not make its way into the bottle. Direct bottle printing requires a change in the current supply chain. “Supply chain evolution, specifically in the packaging industry, is a challenge,” admits Nir. However, he believes manufacturers not currently printing or decorating bottles will start to do so—a possibly easier integration than manufacturers using decorative label techniques. Additionally, the production environment for digital printing plastic bottles/tubes must meet certain environmental requirements. For example, Rozsnyai says the room should be air conditioned, clean, and set at the correct humidity. Recycling also poses a challenge for direct printing technologies as today’s consumers and manufacturers become more environmentally aware and promote a “greener” tomorrow. One of the key ink requirements for direct plastic bottle decoration is the ability to separate the decoration from the bottle itself during the recycling process. Nir believes this is feasible and therefore recyclability can be maintained. “According to several plastic newsletters and public sites, digitally printed plastic bottles were first certified by the European PET Bottle Platform in 2013,” adds Lambert. This is reconfirmed in the interim as having no negative impact on PET—making it officially approved for bottle-to-bottle PET recycling. Besides plastic bottles, other items can be manufactured with the use of a direct to plastic digital printer, including cylindrical items like caulk tubes and tapered cups. With this technology, manufacturers take advantage of the product’s marketing space and eliminate the need for third party label sources.